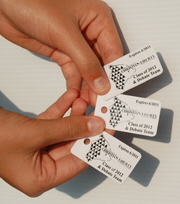 The Spirit Tags “snap-down” into two or three different tags that can be placed on your key chain or lanyard. 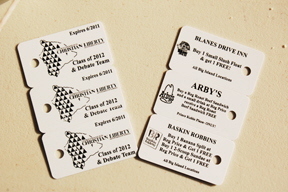 Excellent exposure for your community sponsor while providing a great value for your supporters. 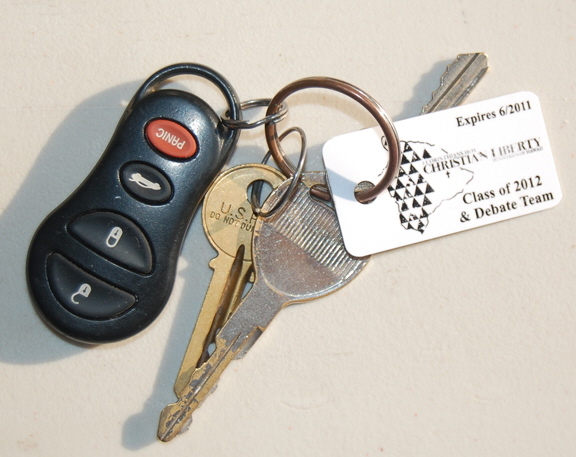 This is a great add-on if you’re already selling the Spirit Card or if a different group is already selling a discount card. 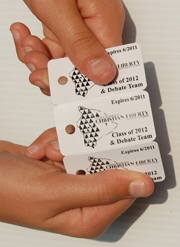 Spirit Tags sell for only $10 with your group earning $5 per Spirt Tag sold. 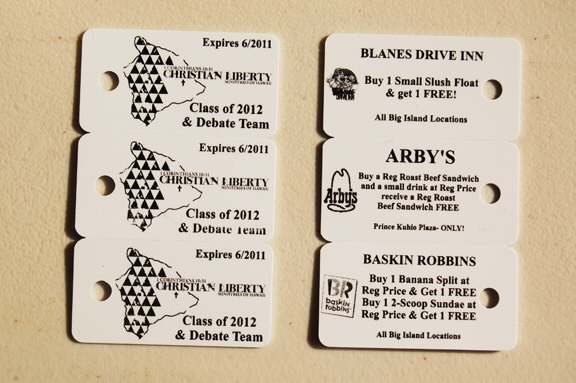 Lets Go Fundraising also offers an awesome prize package. Call today to discuss the Spirit Tag Fundraiser with one of our helpful sales representatives!